Sometimes you might find that the Optimizer has chosen an access path with which you don’t concur. 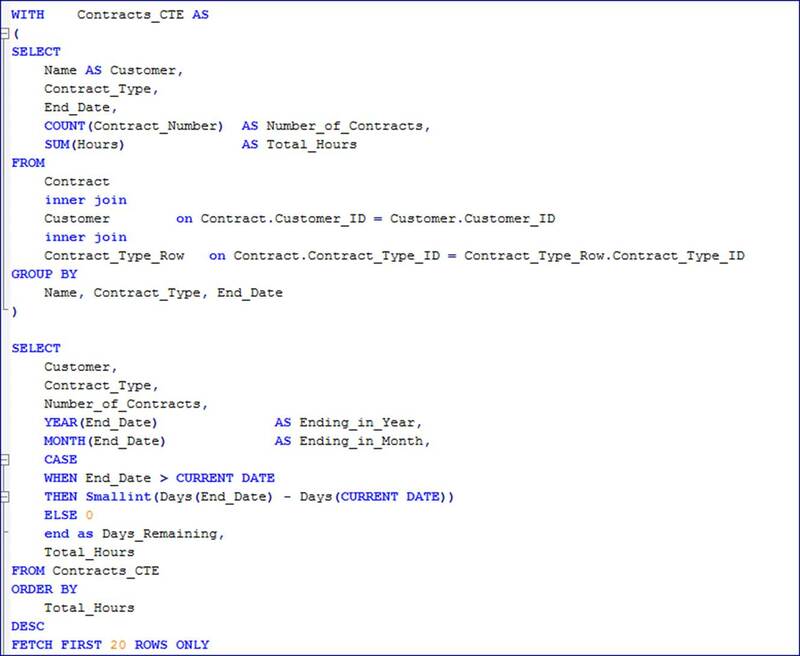 It’s not that likely, as the DB2 Optimizer is one of the most sophisticated of its ilk, but it’s possible that you may know something that the optimizer doesn’t: if, for instance, a table has just had some major INSERT or DELETE activity and the RUNSTATS hasn’t executed yet. Or if you know that something is going to change in the future and you want to experiment with some solutions before the fertilizer hits the mobile air-conditioning unit. If I run that as is, with SET CURRENT EXPLAIN MODE YES, the db2exfmt output will show an estimated cost of 15710 timerons. I’m wondering if forcing a Hash Join between the CONTRACT_TYPE_ROW and CONTRACT tables might be a better option. It indicates that the optimization profile actions have been picked up and actioned. Because this is part of your SQL statement, it will show up if you use db2expln. But only as part of the statement; there will still not be an indication that an optimization guideline has been actioned. And, just for the record, my guidelines made no difference to the estimated cost at all, so the Optimizer probably got it right in the first place.